Battle ropes are quickly becoming one of the biggest fitness trends. For those who are not familiar with this piece of equipment, battle ropes are thick ropes that are either looped around a pole or anchored with a strap. You can use these ropes for individual exercises, as a finisher, or complete an entire battle rope training routine. If you are wondering what the excitement is all about, let us explain the top benefits of incorporating battle ropes into your workout. It is easy to slack off and avoid going to the gym when you get bored with your routine. Using the same equipment each day is often more of a struggle than the workout itself. If you find yourself getting stuck in a rut, battle ropes help breathe more life into your workouts. The ropes are fun to use, especially the first time you start swinging the rope around. It is hard not to smile and feel like a kid again when playing with battle ropes. However, do not let this fool you. The ropes still provide an intense workout when used correctly, which leads to a wide range of benefits for people of all fitness levels. A battle rope is one of the few pieces of equipment that targets almost every major muscle group. You get a whole-body workout with a single item. The basic rope exercise is called ‘waves’. You do this by holding the ropes whilst maintaining a solid stance and waving the ropes up and down. Obviously, the ropes mostly work the upper body, as you are swinging the ropes using your arms. However, you are also working your legs and hips, as you need a good stance to maintain your balance while performing rope exercises. Of course, you can also add other movements to the exercise to target specific areas. Adding jumps or lunges brings more intensity to the exercises and ensures that you get your legs more involved. Most people favor one side of their body. When performing a curl, you may find it easier to lift with your dominant arm. You may also have more coordination with one side than with the other. The ropes help eliminate this imbalance. With regular use, battle ropes may improve your coordination, as the ropes force you to work each arm independently. As I previously mentioned, you can also add lunges, jumps, and squats to your battle rope exercises. Adding these movements further aids your coordination and timing, which is beneficial for improving your overall athletic performance. You may gain better results by alternating your grip on the ropes and by moving the ropes in different directions. Instead of simply waving the ropes up and down, you can move the ropes in circles, for example, to work different muscles and focus on your coordination. If you want to lift more weight, you either need to add more plates or pick up a heavier dumbbell. With battle ropes, you can quickly adjust the resistance to increase or decrease the intensity of the workout. When you purchase a battle rope, you get a single rope. The rope is then looped around a sturdy pole or anchored using a strap. You then grip each end with your hands. Standing close to the anchor point gives the rope slack. This increases the resistance as well as the intensity of the exercise, whilst standing further back decreases the intensity. By adjusting the intensity of the exercise, you can use battle ropes for interval training. Perform 60 seconds of alternating waves on the ropes whilst standing close to the anchor point. This is the ‘high-intensity interval’. Follow this with 60 seconds of alternating waves whilst standing further away, and then repeat! When you are mostly concerned with developing muscle mass, it is easy to forget about your cardiovascular health. Without doing cardio, you will start to lose the endurance needed to complete intense lifting sessions. Battle ropes may improve cardiovascular health. In fact, this is one of the first advantages that was discovered when the ropes were first developed. Performing exercises with the ropes will keep your heart rate elevated, much like when you perform a cardiovascular exercise. You are getting a cardio workout whilst using resistance training to work your muscles. When you use battle ropes, you are using a full range of motion with limited impact on your joints. If you struggle to build strength in your feet, knees, hips, or grip, battle ropes may provide the best solution. Remember, battle ropes give you a total body workout. Each time you wave the ropes, you are producing a force that returns to your arms and moves through your body. 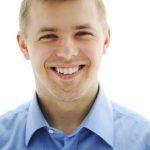 You are ensuring that areas that often receive less attention get a full workout. With battle ropes, you naturally develop a stronger grip as you produce stronger waves and add more speed or movement to your exercises. You are also strengthening your hips, knees, feet, and ankles, whether you remain stationary or perform additional movements. Battle ropes offer a dual-force exercise, as you are working with both gravity and the force created by the waving ropes. This helps you work every part of your body, including muscles that are difficult to target with static lifting exercises. Working the muscles in unique ways and building strength in weaker areas of the body reduces your overall risk of injury. 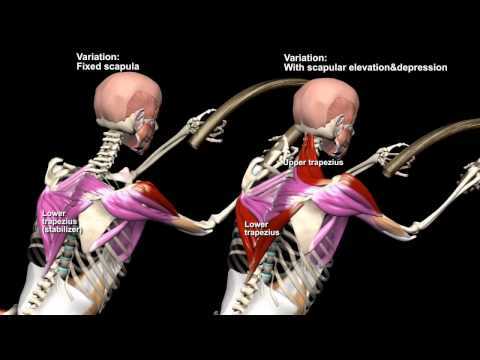 Using your natural range of motion, you have more control over the movements you perform. It is difficult to apply more force than you can handle, much like jumping. When you jump, the biggest risk of injury does not come from the force that you create. It comes from improper landing. Rope exercises require constant motion and stretching, which helps to increase your mobility. This further helps reduce your risk of injury, and may improve your athletic performance. With continued use of the ropes, you may increase your overall mobility. This is especially true when performing dynamic rope exercises. When performing rope exercises that keep your feet planted, you are working on your stability. The force you create when you wave the ropes comes back to you, forcing you to maintain a solid stance. These benefits may help you in other areas. For example, improving your stability is useful for lifting in general, while improved mobility is beneficial for playing almost any sport. The process for losing fat is not overly complicated. You need to burn calories to burn fat. Battle ropes help you burn more calories due to the continuous movement of the exercises. Even a 10-minute session each day can have profound results. These exercises can be intense, allowing you to get a complete workout in a shorter period of time while still burning a lot of calories. You are also receiving an effective muscle-building workout. As you know, building muscle increases your metabolic rate. This forces your body to burn more calories when resting. The combination of improved muscle development, effective cardio, and constant motion help you burn more calories and blast fat in your troublesome areas. Most of us have hit a plateau at some point. This typically occurs when you perform the same exercises and do not switch up your routine occasionally. When you use the same muscles in the same way, your muscles get used to the routine, limiting the effectiveness of your exercises. If you do not fix the problem, you will struggle to reach your fitness goals. Battle ropes help you avoid this plateau by providing a new form of exercise. 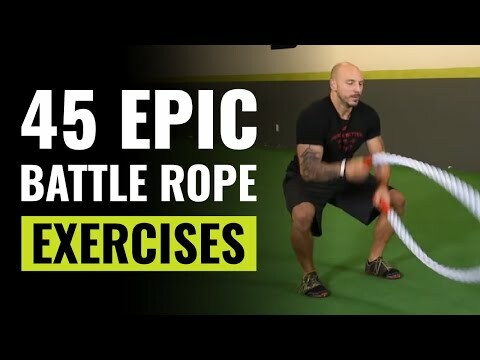 You can replace almost every exercise you currently perform with battle rope exercises. These exercises will work your muscles in a different manner, ensuring that you continue to build muscle and burn fat. Battle ropes allow you to target your whole body while improving your coordination and adding a little excitement to your workout routine. The ropes are typically 1.5-inches thick and vary in length between 30 and 50 feet. Shorter ropes will offer more intensity, while longer ropes provide more options for adjusting the resistance. You can use these ropes for a variety of exercises and workouts, including high-intensity interval training. With battle rope exercises, you may increase your cardio capacity, burn more calories, boost your mental fortitude, and improve your coordination, along with many other fantastic advantages. If your regular workout routine is getting stale, you should consider using battle ropes. They are fun to use and provide an effective workout for developing lean muscle mass, burning fat, and improving your fitness levels.